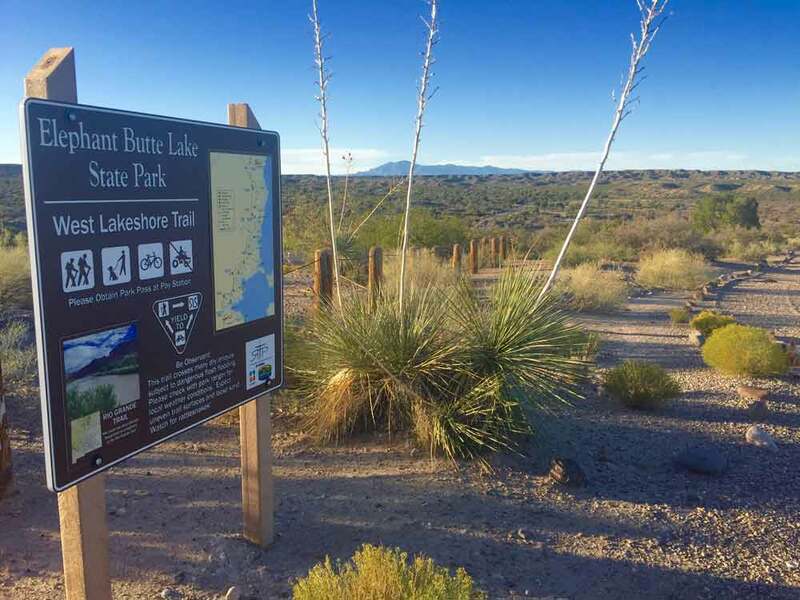 Hiking West Lakeshore Trail at Elephant Butte Lake - miles of trail! Another day, another drive, another hike! 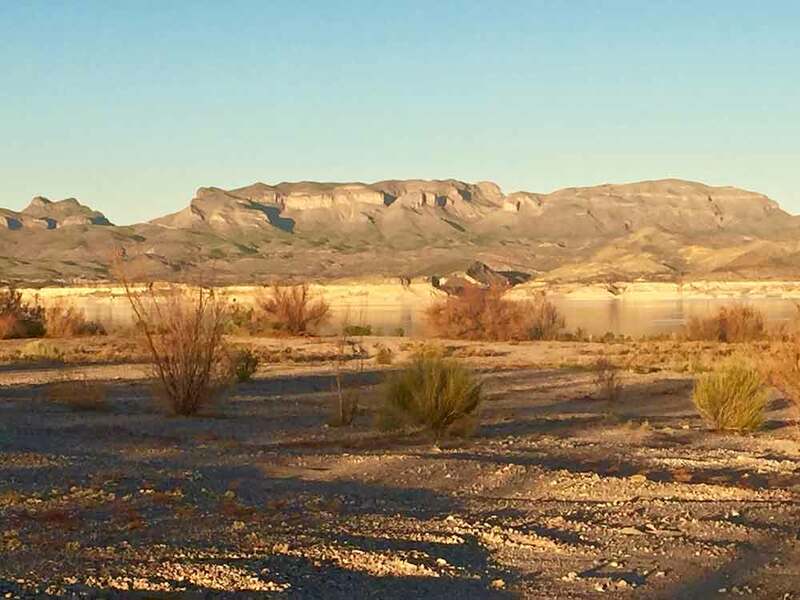 15 minutes from Truth or Consequences, this trail hugs the western shoreline of Elephant Butte Lake, spanning a 12-mile stretch of scenic desert landscape. Be warned: it is easy to become intrigued by the path’s many side trails and “off road” aspects and end up wandering aimlessly for hours. Not a bad thing if you have time. 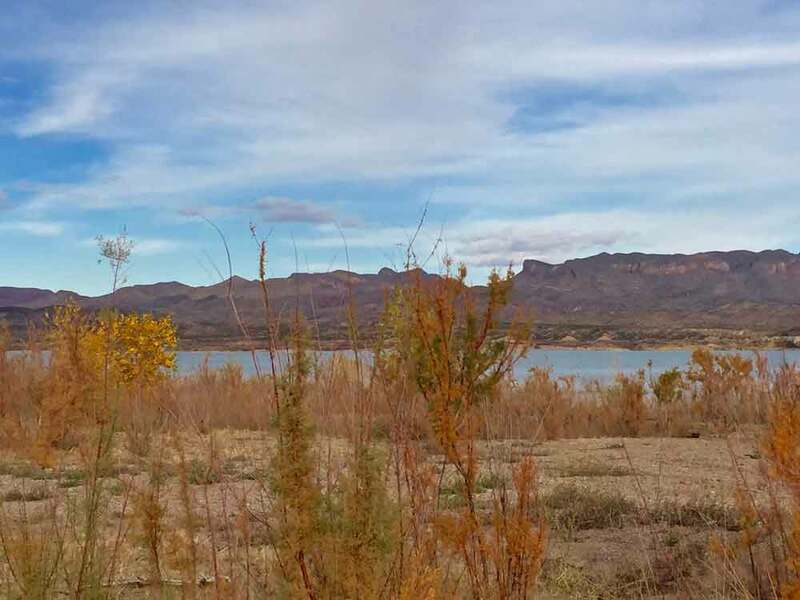 Aside from the sweeping views of the Lake and the Fra Cristobal Mountains across the way, one thing to love about the West Lakeshore Trail is its accessibility. 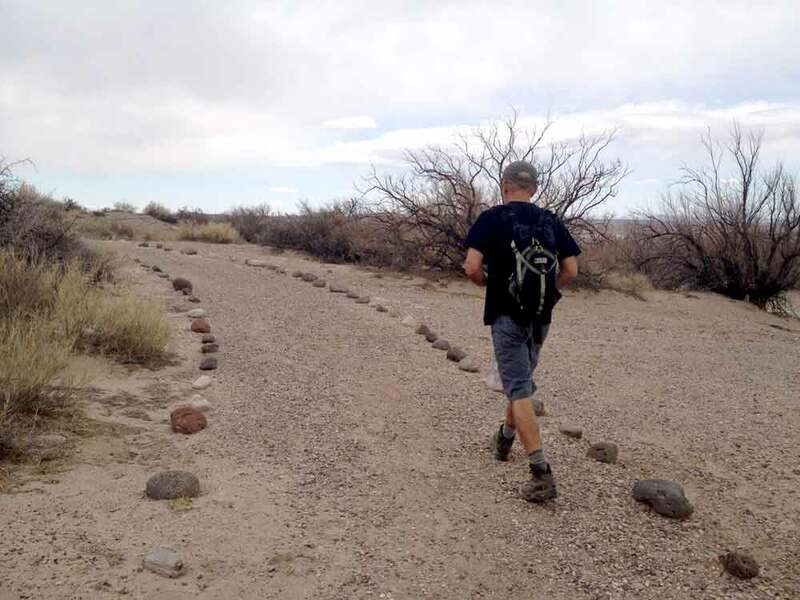 The many trailheads and through-hike options of the West Lakeshore Trail make it possible to do a mile or so here and there of relatively easy, well-marked hiking ground, and then head back to the trailhead, hop in your car, and move along to another section of the trail. Perfect for people who are limited on time or mobility! 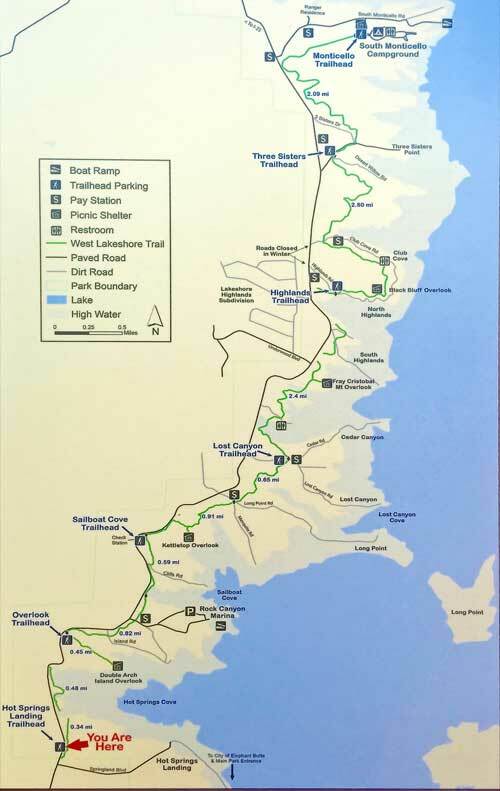 From the first trailhead—Hot Springs Landing—one can head north with the intention of continuing on the actual West Lakeshore Trail for a spell. 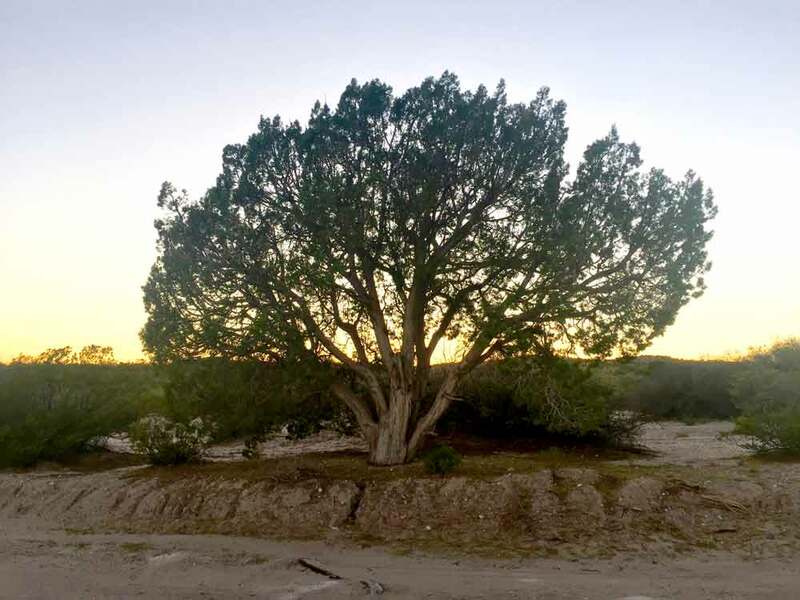 But if you happen to begin your West Lakeshore explorations further north (by taking 181 to 171/Warm Springs Boulevard to 195 to Rock Canyon Road/Lakeside Drive), you should see the first trailhead parking lot at Hot Springs Landing without too much trouble. 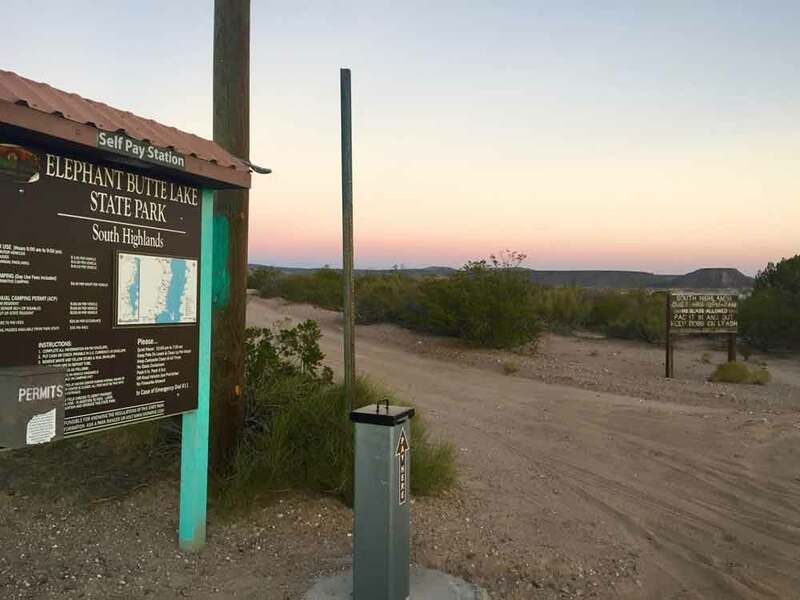 And once you’re there, you’ll see that the trailhead is clearly marked with a wooden sign bearing the Elephant Butte State Park emblem, the words “West Lakeshore Trail,” and a trail map, which will reassure you in red letters that You Are Here, wherever that may be. Once you’re out there with all that open space surrounding you, it’s hard to resist the urge to explore beyond those nicely laid out pathways. 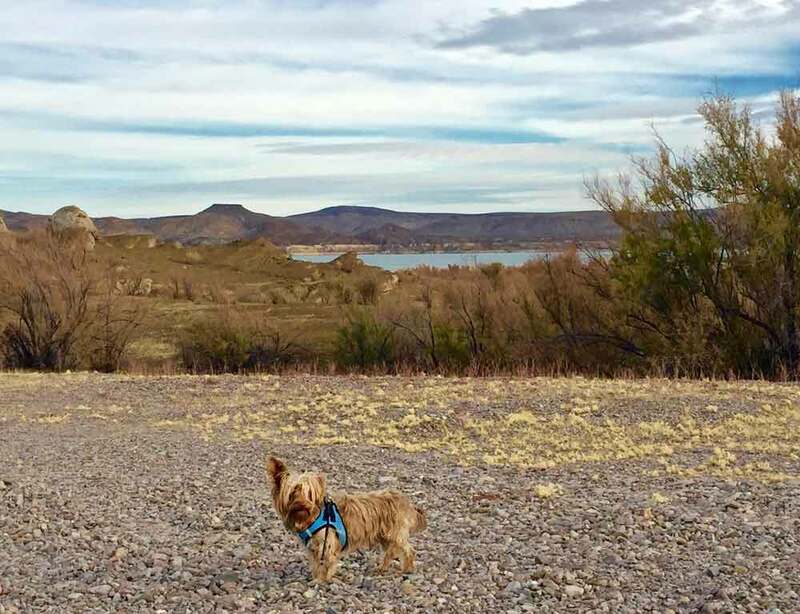 If you happen to be hiking with a furry companion, especially a small one, it is wise to leash your pet(s) in this area. While human civilization is not far from any of these trails, there are still predatory animals lurking in the more remote spaces. That said, don’t let the relatively remote nature of much of this stretch of land deter you from relaxing into the simple serenity of the experience. There are also plenty of not-predatory animals, like lizards and jackrabbits, and most wild animals want nothing to do with humans and will keep their distance from you as you move along your merry way. Park at the trailhead and walk the whole length of this side trail, or if you have a 4WD or appropriate off-road vehicle that won’t get stuck in the sand, you can drive almost to the shoreline along a winding, scenic stretch of unpaved road and park on a bluff to bask in the sweet vistas before you. This is another one that gives you the option of parking and walking or driving as close as you can to the shore. On foot, it’s a beautiful stretch of sandy walking path that leads down to the water. By car, be careful not to get stuck! The campground here gives the impression that those who are not camping shall not pass. But this is not so. You can park and walk down to the water, or simply pause to take in some of the best scenery this trail has to offer. 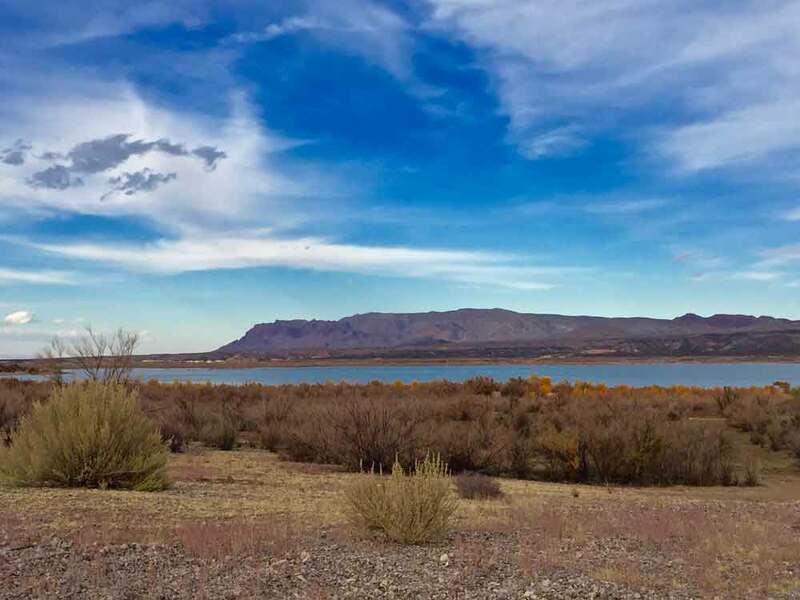 Here, you’ll get the closest view of the Fra Cristobal Mountains, as well as a decent dose of migratory bird sightings, since many species gather by the lakeshore just below the campground. Be sure to wear sturdy shoes and bring plenty of drinking water when you venture out on foot. 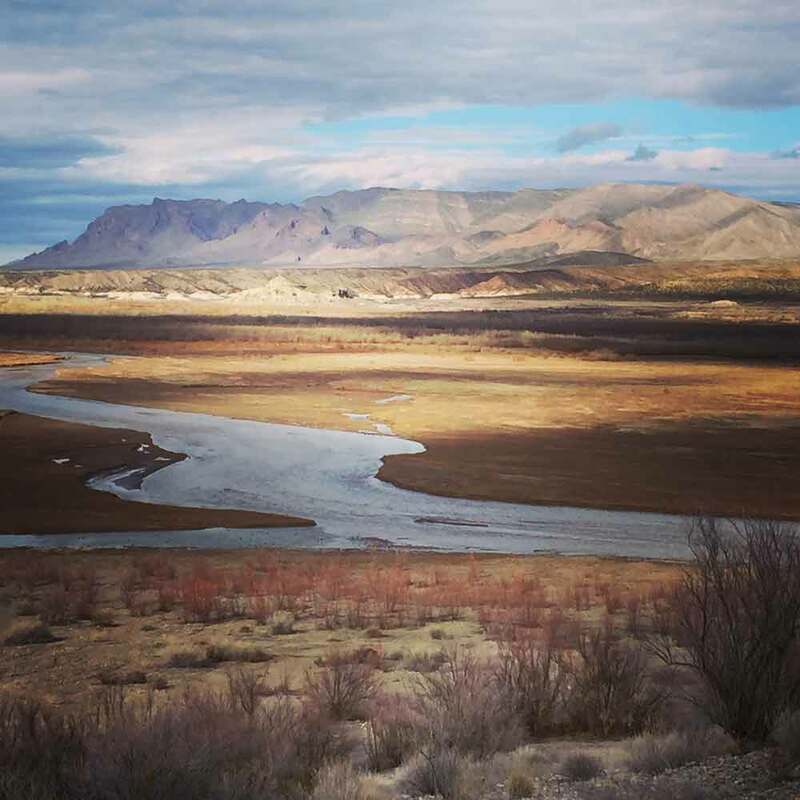 See more information on hikes in Sierra County on our hiking page.